Grace Autosport, the first all-female IndyCar Series racing team, announced their plans today to compete in 100th the running of the Indianapolis 500. From team owner to race engineers to aerodynamicists to the driver to marketing and public relations directors, the women of Grace Autosport will be on the grid for the “Greatest Spectacle in Racing” on May 29, 2016. Grace Autosport will spearhead a one-of-a-kind racing program with a focused educational initiative, which looks to create and inspire future champions and leaders in motorsport. The goal of this pioneering all-female racing team is not only to empower women in motorsport, but to encourage a new generation of women to pursue careers in STEM (science/technology/engineering/math). Grace also hopes its program and platform attracts a new fan base to IndyCar racing and the Indianapolis 500 race, the largest sporting event in the world. 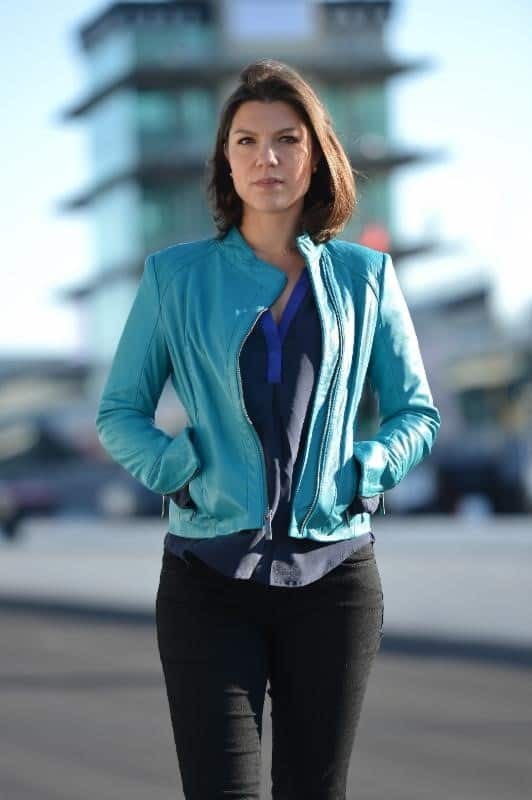 Katherine Legge, a two-time Indy 500 competitor, has been named as the inaugural driver. Her firsts as a female racer has spanned single-seater and sports car racing. The native Brit’s diverse racing history includes British Formula Fords, Toyota Atlantics, Champ Car/IndyCar, IMSA sports cars, DTM and Formula E racing. Additional team members include: Catherine Crawford, aerodynamicist, principal of Crawford Composites and one of the few women around the globe supervising a race team, which she currently does in the IMSA TUDOR United SportsCar Championship; Lauren Elkins, motorsports engineer, track support technician and data analysis manager, who brings multiple years in IndyCar and sports car racing to the team; Jessica Rowe, a junior design engineer with a variety of race experience, both at track and in the design office; and Barbara Burns, a skilled motorsport professional specializing in communications, public relations, event management and media training for young professional athletes and drivers. Grace Autosport will continue to provide updates with regards to team sponsors and personnel in the months to come. For more information, please visit www.graceautosport.com.